The versatile range of products by Carclo offers you the suitable lens for every lighting application. Select the lens in due consideration of its radiation parameters and compatibility with LEDs. 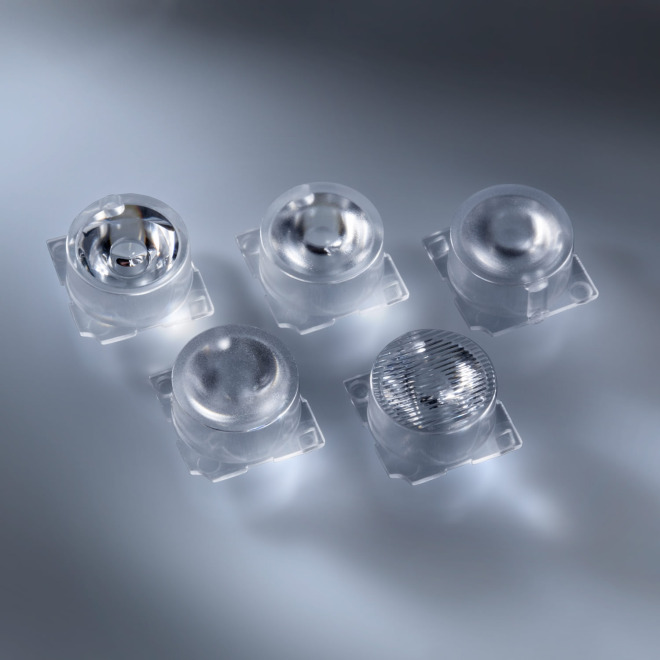 The lenses can be directly adhered to the respective LEDs or fixed with the Carclo lens holder. Always use an appropriate adhesive! The lens must not be applied to the LED with high pressure.